Mexican President Enrique Peña Nieto, in the course of a trip to Asia last April, initiated important trade discussions on a stopover in China. In return, Chinese President Xi Jinping returned the courtesy during his visit to Mexico on June 4. Mexico is attempting to reduce its trade deficit with China by exporting some of its natural resources. In return, China is stepping up its role in Latin America as a major consumer of primary products. President Xi’s plans include potential investments in the hydrocarbon and natural gas sectors of the Mexican economy. There is every reason to believe that increased trade between the countries will augment Mexico’s economic growth. The trouble is that, to date, there has been no real consideration given to working conditions in Mexican facilities owned by U.S. companies, which too often pay their workers a low wage and overlook the unsafe conditions under which their employees labor. Since President Peña Nieto took office on December 1, 2012, he has attempted to rebuild bilateral relations with China and to promote economic growth through heightened foreign investment in natural resources. For his part, President Xi hopes to gain influence in Mexico and elsewhere in the region, as the United States and China move into competition for economic hegemony. In response, Washington has launched a somewhat half-hearted effort to establish closer relations with key Asian countries known to be engines of growth. China seems to be winning this competition, moving forward to achieve important economic victories in Mexico, Latin America’s second largest economy. In other respects, China’s economic offensive is a response to NAFTA (the North American Free Trade Agreement, 1994), which brought the U.S., Canadian, and Mexican economies much closer together. NAFTA eliminated tariffs on more than half of Mexico’s exports to the United States and over a third of U.S. exports to Mexico, leading to increased trade among the NAFTA partners. NAFTA also intended to establish factories that became known as maquiladoras. 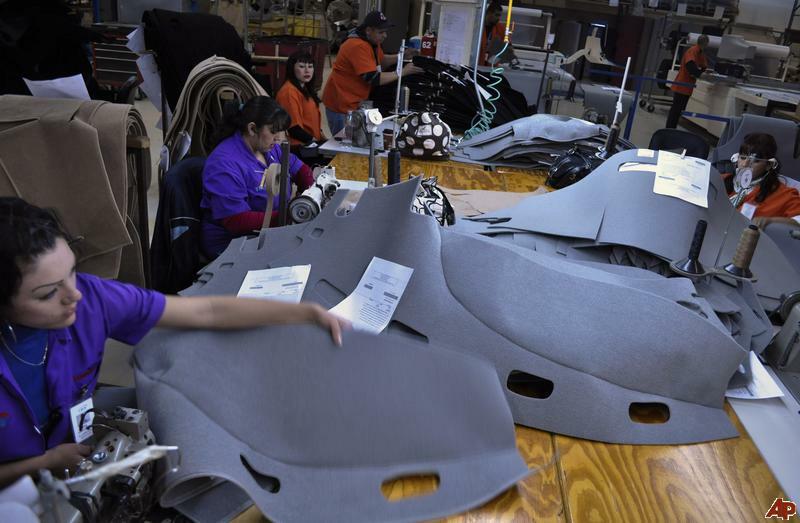 Under this concept, U.S. firms enjoy lower production costs by employing low-paid Mexican workers who make products, nevertheless, with U.S. labels. China wants to do the same. China, to a large extent, currently competes with Mexico in the U.S. import market, but China is handicapped by relatively high U.S. tariffs on its shipments. Further, the Asian country faces labor costs that are becoming increasingly expensive, with Chinese workers now earning more than many of their Mexican counterparts, according to some new studies. China has more of an incentive to build factories in Mexico than in other Latin American countries, because Beijing could then more easily export its finished products to the United States under the terms of NAFTA. President Peña Nieto is also encouraging Chinese direct investment in Mexico. In 2005, Chinese president Hu Jintao (2003-2013) visited Mexico and discussed building automobile factories, a topic that was once again brought up in the most recent discussions. Further investment could be in maquiladora facilities and natural resources, but these are often sensitive issues in Mexico, and ones that produce an array of economic clashes. Between October 2000 and December 2003, Mexico lost 300,000 jobs and over 800 maquiladoras because Chinese mass-produced exports to the United States were cheaper than those from Mexican sources. Chinese investment in Mexico could well lead to the opening of more maquiladoras in Mexico, but this step raises some serious concerns. Maquiladora workers are not paid a living wage. The cost of living is often 30 percent higher near the maquiladoras than in Southern Mexico, although the maquiladoras attract workers because they present better job opportunities than those in the South. Because workers receive marginal wages, they cannot take out loans or save for the future. Moreover, Mexican workers do not actually enjoy many of the health benefits promised by Mexican laws. They also suffer from considerable job insecurity. 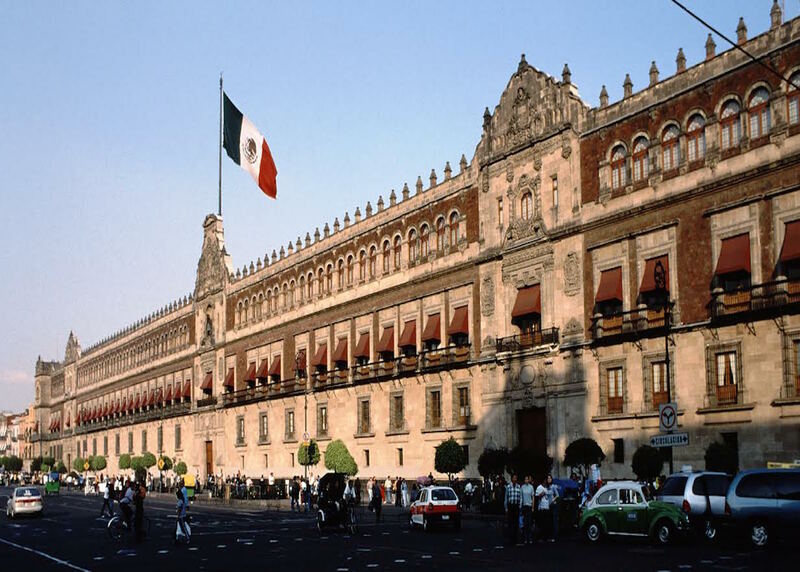 In 2012, the Mexican Congress reformed the Federal Labor Law, which had not been changed in 40 years. Spearheaded by former President Calderón of the right-wing and pro-business National Action Party (PAN), the reforms, predictably, did not do enough to help workers or their families in a tangible manner. One reform to the labor law is that it provides previously informal workers with job benefits. Businesses that previously hired workers informally in an effort to avoid being subject to the Federal Labor Law now had fewer motives to do so. Before the reforms, businesses were required to pay all wrongfully fired workers’ back wages, even if the money often wound up in the hands of union bosses. Under the new law, a worker wrongfully dismissed by his or her employer may only receive back wages for one year. Some critics point out that the reform also provides a perverse incentive for employers to unfairly fire better-paid senior workers, pay their back wages, and still come out ahead by hiring new and less expensive replacement workers. In the original drafts of the labor reform, the law had a strong pro-business slant. It was only after the determined efforts of the leftist pro-independent worker Partido Revolucionario Democratico (Party of the Democratic Revolution; PRD) that the new law came to include measures that better protect workers’ union rights. President Peña Nieto of the Partido Revolucionario Institucional (Institutional Revolutionary Party) should recreate this collaborative process by involving the PRD in the implementation of the reforms, and by ensuring that workers’ health and safety issues are represented. If Mexico seeks to continue its maquiladora-led developments, the administration must ensure that workers are guaranteed minimum human rights standards and be sure that multinational corporations cannot strip workers of these rights. Mexico is a victim of what some people have termed “the middle-income trap;” it has a growing economy but is having difficulty reaching high-income status because it lacks the technological capacity of high-income countries. Dr. Enrique Dussel Peters, Professor of economics at the Universidad Autónoma de Mexico, argues that Mexico should aim to diversify its economy by significantly upgrading the manufacturing processes of what the nation already produces, especially by using new technologies. This is not the only structural change that will need to be implemented before Mexico welcomes more Chinese investment. The Mexican government must turn its focus to addressing the impact of China’s investments on the lower strata of society. At the same time, it must be one of President Peña Nieto’s responsibilities during this term to enforce the reforms to the labor law. He has an obligation to integrate the interests of the workers, who lack power. In order to ensure workers’ rights, Mexican officials should be called upon to continue reforms to the labor law, implement safety restrictions, and set the minimum wage to be high enough for workers and their families to be able to afford living in the border region. 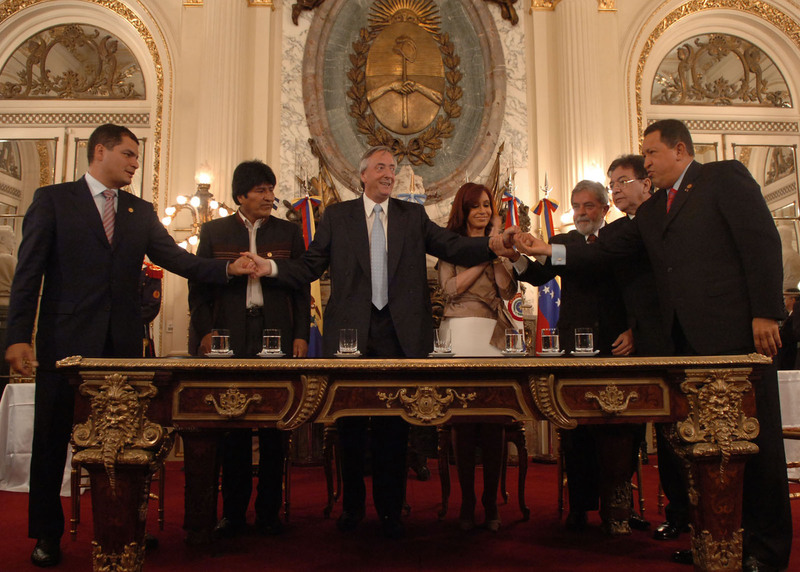 Leaders of Latin American nations from which China imports should make certain that their economic policies ensure the welfare of their own citizens is guaranteed. Patricia Rey Mallén, “Xi Jinping and Enrique Peña Nieto Sign Tequila Agreement, What Does This Mean for Mexico and China’s Trade and Politics Relations?” International Business Times, 06 June 2013. http://www.ibtimes.com/xi-jinping-enrique-pena-nieto-sign-tequila-agreement-what-does-mean-mexico-chinas-trade-politics. Carin Zissis, “Xi’s Trip to Mexico: Sino-Mexican Relations Revisited,” Americas Society/Council of the Americas, 04 June 2013, http://www.as-coa.org/articles/xis-trip-mexico-sino-mexican-relations-revisited. 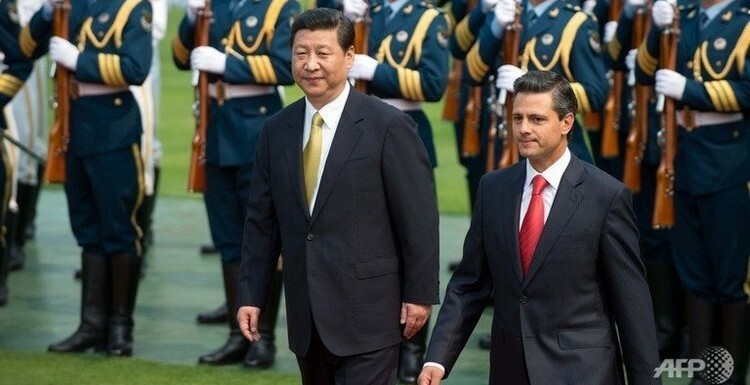 Lauren Villagran, “Trade is a Hot Topic as Chinese President Travels to Mexico,” Christian Science Monito, 04 June 2013, http://www.csmonitor.com/World/Americas/2013/0604/Trade-is-a-hot-topic-as-Chinese-president-travels-to-Mexico. Don Knowland, “China’s President Visits Mexico and Central America Seeking Economic Ties,” World Socialist Web Site, 10 June 2013, http://www.wsws.org/en/articles/2013/06/10/xime-j10.html. James Hookway and Natasha Brereton-Fukui, “Kerry Affirms Renewed Focus on Asia Ties: China’s Clout Threatens to Crowd out American Push for Stronger Relations,” Wall Street Journal, 01 July 2013, http://online.wsj.com/article/SB10001424127887323297504578578772762356056.html. 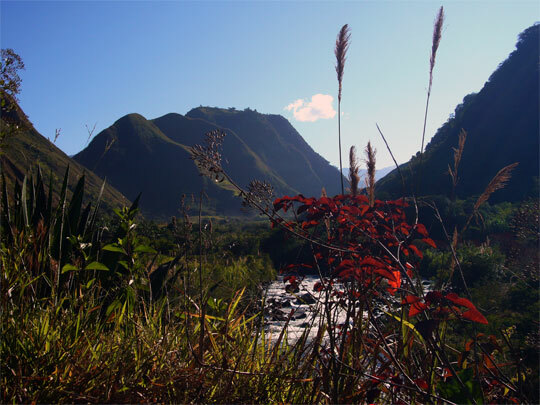 Damien Cave, “Nicaragua Approves Building its Own Canal,” New York Time, 13 June 2013, http://www.nytimes.com/2013/06/14/world/americas/nicaragua-approves-building-its-own-canal.html?_r=0. “The North American Free Trade Agreement,” Boundless, https://www.boundless.com/business/international-business/international-trade-agreements-organizations/the-north-american-free-trade-agreement-nafta–3/. “Understanding the Maquiladora Program and NAFTA’s Role,” MFI International: Flexible Manufacturing Services, 28 March 2012, http://info.mfiintl.com/blog/bid/121958/Understanding-The-Maquiladora-Program-and-NAFTA-s-Role. “Supply Chain News: Rise in China Wages Now Means Labor Costs About 20% Lower in Mexico, New Study Finds,” Supply Chain Digest, accessed 12 August 2013, http://www.scdigest.com/ontarget/13-04-08-1.php?cid=6913. Zissis, “Xi’s Trip to Mexico”; “Argentina Trade Surplus Up 26.9% in June As Grains and Oilseed Exports Get Moving,” Mercopress, 24 July 2013.. http://en.mercopress.com/2013/07/24/argentina-trade-surplus-up-26.9-in-june-as-grains-and-oilseed-exports-get-moving. “Chinese President’s Visit Aims to Strengthen Sino-Mexican Strategic Partnership,” Xinhua, 10 September 2005, http://english.peopledaily.com.cn/200509/10/eng20050910_207756.html. Allan Beck, “Mexico Needs to Proactively Educate Maquiladora Workers,” Macrothink Institute: Research in Applied Economics, 5 March 2013, 5.1 (2013): 45-53. “Cons of Maquiladoras,” Mt. Holyoke, May 2009, http://www.mtholyoke.edu/~shah20m/classweb/cons.html. Ronald Mesia, “Economic Determinants of Demand for Maquiladora Export From Mexico to the U.S. and Canada,” (Ann Arbor, MI: ProQuest Information and Learning Company, 2008) 47, http://books.google.com.pe/books?id=J1S3hB8UYmIC&pg=PA47&lpg=PA47&dq=effects+on+maquiladoras+of+u.s.+demand&source=bl&ots=QuxcVZcyjR&sig=x2ksOLuhcFgK0lHTTnVOKEQLVgk&hl=en&sa=X&ei=nokKUt2ZFJP68QS4_IH4DA&ved=0CFoQ6AEwCA#v=onepage&q=effects%20on%20maquiladoras%20of%20u.s.%20demand&f=false. Tim Johnson, “Mexico’s Maquiladora System Keeps Workers in Poverty,” McClatchy. 17 June 2012, http://www.mcclatchydc.com/2012/06/17/152220/mexicos-maquiladora-labor-system.html#.Ub4L1COD428. Elisabeth Malkin, “Mexican Lawmakers Allow Changes in Labor Law,” New York Times, 12 November 2012, http://www.nytimes.com/2012/11/15/world/americas/mexican-lawmakers-approve-overhaul-of-labor-law.html?_r=0. Enrique Dussel Peters, “Mexico and the Asian Challenge,” Panel: “Reaching Across the Pacific” at The Woodrow Wilson Center, Washington, District of Columbia, 20 June 2013.